A pop band that improvises a lot, without vocals. 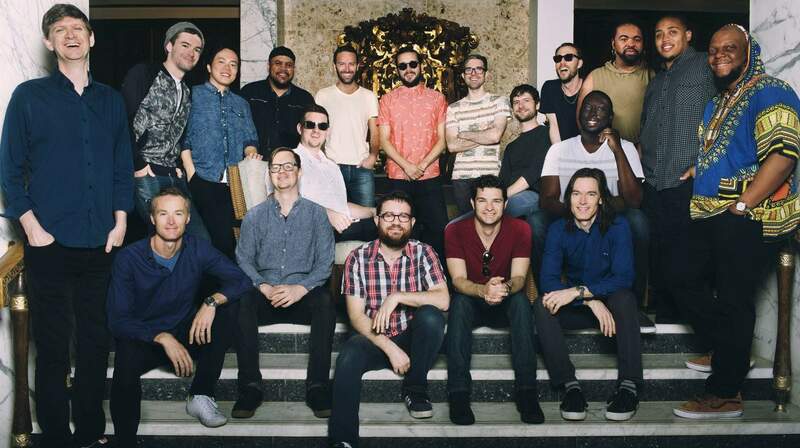 Brooklyn collective Snarky Puppy is heading back to Wellington. Last here in 2016, the group which at times boasts more than 40 members on guitar, bass, keyboards, woodwinds, brass, strings, drums, and percussion, performs a brand of contemporary jazz fusion. Band leader and bass player Michael League describes the group as "a pop band that improvises a lot, without vocals". Snarky Puppy have worked with some of the music industry's biggest names across 12 studio albums, including Snoop Dogg, Erykah Badu and Justin Timberlake — collaborations which have resulted in three Grammy Awards. This April the wide-ranging assemblage of musicians known affectionately as 'the Fam' will drop by Wellington's Opera House for a one-off show.